This is your home for developing parking lot design, site construction and development, permeable pavement, roadway stories, chemical engineering advances, and paving industry stories, news and resources for the enrichment of estimators and paving experts alike. Curated content about parking lots from sources including government websites such as the Department of Transportation, various news conglomerates, YouTube videos, construction trade journals, company press releases, blogs, editorial commentaries, and Ohio Paving & Construction news is gathered here as the perfect resource for quick, informative updates on the paving industry. Temperatures in Northeast Ohio are rising, and paving work is resuming in the Cleveland and northeast Ohio areas. Although Cleveland didn’t see a particularly harsh winter, asphalt pavements only need to see below-freezing temperatures to experience the freeze-thaw cycles that cause cracking and potholes. Snow plows can also contribute to damaged pavements, as shovels scrape the asphalt and can directly impact a smooth surface. Scrapes that have only caused cosmetic damage to an asphalt surface can be easily fixed with a quick asphalt sealing job. Resurfacing is offered by Ohio Paving to lay new asphalt over existing damaged asphalt- a process that can quickly make your parking lot as good as new. 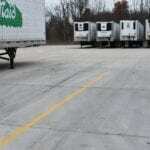 Other commercial parking lot services can be found on Ohio Paving’s commercial parking lot paving services section. Norwalk city council recently approved infrastructure improvement projects totaling $1.6 million, slated to occur throughout 2019. While no work dates have been published, as timelines are dependent on the completion of the bidding process, among projects to be completed are 16 asphalt road resurfacing projects, sidewalk improvement projects, drainage improvement projects, and an new asphalt paving project to build roadway connecting East Main Street to the city recreation center. Parma is looking at its peripheral neighborhood catch basins, following last year’s catch basin repair project of 117 catch basins in main areas, for an infrastructure overhaul that will bring 150 additional roadside catch basins back to good-as-new condition. Collapsing roadside catch basins are an infrastructure sunk-cost nightmare waiting to happen- so repairing storm water drainage systems before they’re a serious problem is a great way to get ahead of the issue before serious expenses are incurred. The entire project will cost $400,000, paid for by the NEORSD Community Cost Share Funds, which is funded through annual storm water fees by local residents. Ohio Paving & Construction is one of the first paving companies in the Cleveland area to offer the full suite of green parking lot paving to businesses and commercial property owners. Permeable pavers including porous concrete, permeable or pervious asphalt, or TrueGrid pavers can be the pavement material used for your next parking lot construction or expansion project. Public institutions, such as schools or municipalities, can lead their communities in developing the most progressive, green solutions for their citizens, raising property values and increasing the quality of life for everybody. Ohio Paving & Construction made several great paving accomplishments this summer, including continuing their working relationship with food and beverage titan Nestle in expanding their distribution parking bay in Streetsboro, OH. The project required the installation of light fixtures, deep excavation to install the Storm Tech storm water detention system, and approximately 50,000 square feet of concrete cement expansion, followed by line striping intended to fully maximize the space used for storing their cargo containers. Commercial parking lot paving is what Ohio Paving does, plain and simple- very few instances of projects we take on may be considered exceptions. To meet the needs of those searching for commercial parking lot paving in the Cleveland area, Ohio Paving wrote and launched a page to serve those who may need commercial parking lot paving services including asphalt paving, concrete paving, resurfacing, excavation, or parking lot expansion services by a professional, efficient parking lot paving company. Ohio Paving & Construction recently concluded their work paving the Willoughby-Eastlake Bus Garage, adding tens of thousands of square feet of new asphalt parking lot and repaving the entire area with fresh asphalt, then line striping and sealcoating the area. The process required soil stabilization to remove the possibility of base failure in the future, accomplished through Ohio Paving’s partnership with Cem-Base. Precision Paving was awarded a bid to address 180 properties with defective sidewalks across North Olmsted, Ohio. The company charged civilians roughly $250 per sidewalk slab, giving them the bill directly, which will either be paid off outright or charged to the property owner’s property tax bill the following year. Sidewalk paving services are offered by paving companies across Ohio, and the service is often necessary as sidewalks are quick to deteriorate in the rough Northeast Ohio weather. Generally, the resident response has been positive, as residents value maintaining high property values and high standards for the appearance of their communities. Ohio Paving & Construction makes it easy for potential clients to see their paving crew in action on the new Parking Lot Paving Videos page, where resurfacing, milling, expansion and construction, and other paving project footage is gathered in one place. The district awarded the $887,000 contract to Ohio Paving & Construction in Willoughby, OH, to grind & mill, and then resurface the asphalt parking lot for each of the schools in the Parma City Schools District, totaling roughly 336,000 square feet. The job was followed by line striping each of the newly paved parking lots. West Roofing completed the roofing work, totaling $230,075. The large expenditures came out of the school’s permanent improvement fund. Carron Asphalt Paving of Solon, OH recently commenced work repaving the Berea City Hall parking lot, winning the project contract with a bid of $751,622. Removing the concrete islands in the parking lot will be completed this fall, and the rest of the municipal parking lot paving work will be finished in April of 2019. A greenway path to the library will also be included as part of the project. The Ohio Department of Transportation will assist, through a formal partnership arranged September 17, the city of Elyria with asphalt resurfacing, paving and line striping projects on public roads and state routes within the city. The city is contributing $418,000 to the $1.2 million project and the remaining balance will be covered by ODOT. The goal of these repaving projects and roadway construction will be to reduce crashes in the area. Road work on the section of Mayfield Road intersecting Cleveland’s Little Italy finally finished, resuming civilian access to two-lane roads, parking spaces, and walking areas next to storefronts. The project was funded by the Ohio Department of Transportation, meant to resurface the asphalt (as well as sealcoat and line stripe the area) on Mayfield Road from East 126th Street to Euclid Avenue and Chester Avenue from Euclid to East 93rd Street. Now that work has finished in that area, merchants immediately saw an increase in business and traffic, as their stores were more accessible and drivers finished avoiding the area. During a federal investigation related to the city engineer and construction inspection chief, Khalil Ewalis, documents were seized relating to Burton Scot Contractors, a contracting and paving company which had completed numerous projects for the city including repairing right-of-ways around the city and resurfacing parking lots for the Collinwood complex. While the link is unclear, during a similar timeframe, Burton Scot changed some of the figures in the city database relating to costs for the projects, lowering the indicated payments to the company to “better represent internal figures.” It in unknown whether or not these figures indicate any corruption or if the paving company was simply following a protocol understood is the terms of the contract. Ohio Paving & Construction provides a detailed closer look at the wide range of green, environmentally friendly, and sustainable options available to businesses looking for alternatives to traditional paving solutions. Popular runoff-reducing options such as turf grids, permeable pavers, porous asphalt and pervious concrete offer lower long-term costs to the consumer, and provide more synthesis with the environment as runoff is completely absorbed into the underlying dirt layers, recharging soil and decreasing risks of flooding. 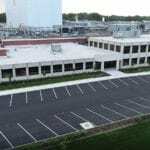 See more advantages and disadvantages of sustainable parking lot solutions on Ohio Paving’s green parking lot page listed above. Beginning September 17, eight streets in Ward 13 will undergo asphalt resurfacing. Signs will be posted throughout the affected areas, and will remain under construction from 7am to 7pm Monday through Friday. One lane of traffic will be maintained, and no detours will be posted. The mayor intends to spend $12 million throughout 2018 towards the goal of repairing and restoring Cleveland’s roadways. See the full article for the complete list of targeted roads for resurfacing. Finding the right asphalt paving company for your needs in 2018 should be easy- but instead, it’s a real headache. No matter what you type into Google, it seems like all you get are directories like Yellowpages, the BBB, or Home Advisor promoting the “best” paving companies, but in reality they’re trying to make you create an account or get services from “paving contractors” who may not be able to do what you need or only earned their listing by paying for it. There’s no good way to browse available services or know if this or that company will take residential work. Ohio Paving & Construction researched some of the asphalt, concrete paving and construction contractors local to Cleveland and produced a page dedicated to clarifying what each company can offer its customers. Each company is broken down into the categories that matter to you flush with links to their websites. Keeping a catch basin in working order is vital to the longevity of an asphalt parking lot, which will overwise maintain a level of stagnant water that will cause cracking, the formation of potholes, and ultimately, sink holing. Catch basin repair costs vary widely in the Cleveland area, so customers are best advised to take advantage of a paving company’s free quote to evaluate the costs of their project. While some companies offer catch basin cleaning, repair, or installation separately, Ohio Paving & Construction developed their new catch basin services page to recieve any customer for whichever stage of catch basin servicing is necessary. Checking your catch basins on a regular basis can save you surprise costs and potential damage to the surrounding asphalt. Many sources recommend having catch basins examined every spring and fall of each year. As budgetary concerns for upcoming fiscal quarters gain increased contention over unfair treatment, Michael E. Cox, Director of Public Works, maintains that the committee is working hard to use every best practice available in distributing funds. The statement was hotly contended as two engineers were sent to an asphalt paving conference in Houston, TX, while another was happening just down the road in Cleveland proper, and no clear response was returned as to why $5,000 was spent on this trip in a phase where “best practices,” were a priority. The National Paving Expo 2018 concluded in Cleveland and focused primarily on parking lot paving best practices and how-to’s for addressing specific pavement failures, as well as new technologies entering the industry to fit with the modern era. Ohio Paving & Construction offers parking lot paving in Cleveland, and similarly produces media showcasing our past projects and footage compilations of jobs getting completed. Berea City School district has recently begun construction for two new schools in the district, a middle school and high school, housing 900 and 1800 students respectively. Each building will be separate and their own parking lots constructed. Parking lot construction in Cleveland is a competitive industry, as there are numerous parking lot paving companies working hard to contribute to the growth of the city. A quality parking lot will need to withstand the intense weather patterns that can quickly ravage a parking lot with poor structural integrity, like those built by Ohio Paving & Construction. Ohio Paving & Construction added a new page to their sitemap, outlining everything you need to know as a searcher for asphalt parking lot paving in Cleveland, OH. As an industry leader trusted by large corporations including Giant Eagle and Nestle, Ohio Paving & Construction is confident it will deliver the highest-quality parking lot paving work available to those in Northeast Ohio. Hommon Road, Clinton and Cedar streets; Sunnywood Lane, Westbrook, Northwood, Southwood and Ellen courts; and Shadowlawn and Midway drives are scheduled for milling and paving work this summer. Milling will be finished at a depth of 1.5″ and new asphalt will be laid. Other repairs include crack sealing and concrete repair. Karvo Paving Co. of Stow came in with the low bid of $808,426.50- roughly $63,000 lower than city engineers estimated for the project. Crews are working on an asphalt resurfacing project in Cleveland Heights spanning the stretch of Warrensville Center Road between Mayfield and Noble, and the road will be partially closed throughout Monday, July 30. City engineers recommend commuters leave early or find an alternate route to make up for delays. The National Paving Expo 2018 took place in Cleveland, OH this year, acknowledging the best paving jobs and industry leaders in various categories. Among those categories are best sealcoating job, best line striping job, best parking lot paving, and best marketing video. The Zavodas, a Shaker Heights family, got their routine sealcoating work done by American Asphalt Sealcoating in Chesterland, OH, only to find a poorly executed job with black sealcoating splatter marks all over their garage door, outdoor furnishings, and basement window. The culprit may have been the rainfall that came 12 hours after application. Sealcoating jobs must remain dry for 48 hours to fully bind to the asphalt. When NewsChannel5 contacted American Asphalt Sealcoating, they were quick to respond and say they were in the midst of issuing a refund to the Zavodas. Scott Wolstein, co-principal developer of the Flats East Bank neighborhood, has recently made notice that the next phase of development will soon be underway for the two new buildings along the Cuyahoga river. Planning will begin as designers and engineers from Richardson Design and HSB Architects + Engineers present design blueprints and guidelines to the city planning commission. Beginning this month, an additional project for a Flats East parking lot expansion project will begin, contributing to the total $750 million that will be invested in developing the space. Ohio Paving & Construction offers the same parking lot design planning services, and parking lot construction for Cleveland businesses. In winning a bid with Advanced Asphalt, the city council approved a resurfacing project to resurface Old North Road, Second Street and Seventh Street. There are other areas in the East Cleveland Street and Spring Valley area that have received significant complaints that the council hopes they can also address within the next few years. As part of a larger project that will conclude in 2024, the I-480 will see dramatic renovations. Monday through Friday, the right lane will close from 7am to 6pm in order to allow excavation work to progress safely. Work to replace the bridge deck on the I-480 bridge has begun as well, with various lanes closed regularly to get through each section. Westbound and Eastbound, between the bridge and Turney Road, will see continued resurfacing work until October. Throughout June and July, Ohio Paving & Construction has been working tremendously hard on new resurfacing projects, parking lot expansions, and mill & paves. This video is a collection of footage used from expanding the Willoughby-Eastlake bus garage, and others, to demonstrate how some of these processes look in the field. Cleveland’s city hall has announced resurfacing projects to begin in Ward 3 on Cleveland’s West side. On-street parking will be closed, and one lane will be maintained for traffic through each of the listed areas. The initiative is within the scope of a $12M plan to repave Cleveland side streets throughout 2018- among one of the many projects planned for the remainder of this year. Ohio Paving & Construction just posted its new Sidewalk Paving & Construction page for cities, municipalities, and businesses in the Cleveland and Northeast Ohio area. Non-concrete paving options also exist for those who want to enhance their curb appeal. The Richmond Heights Building Department Planning Commission unanimously approved a new ordinance that would allow mixed-use development in the closed Sears building and 22-acre surrounding area. The $70 million plan, managed by development firm DealPoint Merrill, is to add a large apartment complex in its place, along with parking lot expansion for over 600+ parking spaces to serve the complex, a hotel, and a host of new restaurants. Ohio Paving & Construction now offers a page specific to help those who are expanding their parking lot, or having on built as part of a site development project. Expanding businesses in the Cleveland area choose to rely on businesses like Ohio Paving, who have designed and built parking lots for leading corporations and large institutions. It’s important to have an understanding of the parking lot paving, construction, expansion, milling, and resurfacing process before getting the work done. Ohio Paving & Construction‘s video “How To Pave A Parking Lot” gives a brief overview of the process and what the crew will be doing on your property for such a project. Ohio Paving & Construction released a photo album with pictures of parking lot excavation and expansion work in the back of Nestle’s facility in Solon, Ohio. The company has just one more parking lot to go to complete the final phase in this multi-year project. The Village of Lakemore is revving up to have additional roadway and repaving and drainage work completed this year. However, Council decided to take time on a piece of legislation that would have moved forward with several projects around the village. Currently, road work around Lakemore includes Plaza Drive being revamped and the parking lot at the municipal building and police and fire departments being improved. Councilman Samuel Ray moved to table legislation that would accept bid proposals from S&K Asphalt and Concrete Inc. to perform other work needed in Lakemore, however. Ray said he felt more comfortable waiting to vote on the legislation after the exact price is determined for work in front of the police department and work is complete at the municipal building and fire department. In a 4-1 vote, with Councilman Chad Lance voting “no,” Council tabled a resolution to accept the following proposals from S&K: the resurfacing of 22,932 square feet of Church Street for $30,000; installation of a new drain basin at Lakeside Drive for $3,500; resurfacing 43,500 square feet of Lakeside Drive for $44,000; replacing culvert pipe on Lakeside Drive for $3,600; installing asphalt approaches for $1,550; and paving an area in front of the police garage for $4,800. Each year a building is reviewed for routine maintenance work on roofs and parking lots. This year, Woodlands Intermediate will have asphalt and resurfacing work completed, along with repairs and upgrades to the roof. Parking lots in Ohio are usually resurfaced between May and October. Ohio Paving & Construction added a new page to their “About Us” section outlining the parking lot paving and repair process from the consumer’s perspective. Starting a paving project for your business is easier when you know what to expect and how to navigate the process. Reading this page will help anyone who’s just getting started as a property manager or facilities manager for their business. As a dramatic move against privacy in an effort to increase air travel security, Orlando’s airport will now begin scanning the faces of international travelers and comparing them to those kept on the National Security database in order to verify who should and should not be on the flight. American citizens do not have to participate, but reports say that American travelers do not feel informed of their right to opt out, and other reports are saying American citizens may soon be required to bring photo identification with them before flying. North Carolina Governor Roy Cooper signed a $3 billion bill to rebuild North Carolina’s transportation infrastructure, saying that the expenditures will help boost the state’s economy over the next ten years. The money is expected to come from dedicated transportation revenues and the state’s share of the federal gasoline tax. NuTonomy, a self-driving car technology company, just received permission from the city of Boston to begin testing their cars on city streets. In general, citizens are optimistic about the technology, and feel comfortable that permission can be revoked if something goes awry, like did happen in Arizona. Who could have imagined? Bay area residents find traffic as a weak point in the quality of life in the Bay Area, ranking it as a second worst problem facing its residents. 46% of residents report that they’re “ready to leave within the next few years.” Residents also report paying up to $11 a day to eliminate traffic from their daily commute. An additional $30 million in spending was appropriated to Alaska’s infrastructure and trade routes, improving old roads, highways, and better-connecting rural towns and cities to transportation routes that don’t have access to modern shipping. Idaho may receive vital federal funding for a lane expansion and infrastructure improvement project on highway I-84, which sees nearly 100,000 vehicle trips per day. Idaho is currently the fastest growing state in the U.S., and such infrastructure improvements would act as a vital contribution to the sustainable growth of the state’s economy. With a budget of $561,000, 19 asphalt paving projects are kicking off for a scheduled completion of October 2018 in Bloomington. The Indiana city included an interactive map to see where and when projects will take pace throughout the year. As the Trump administration continues forward with its promised policy proposals to add a tariff to steel and aluminum imported from Canada and Mexico, transportation project managers foresee increased highway construction costs and unfunded projects in the future. Cannabis companies have gone above and beyond in Colorado to give back to the community they serve. Half of the Adopt-A-Highway sponsors in Colorado are part of the cannabis industry, and are responsible for a significant reduction in litter and trash along Colorado’s state routes. Some attribute this service as a necessity for the highly competitive marketplace cannabis has become, since they are legally barred from traditional advertising methods. Nevada’s largest infrastructure project in its history is set to finish in July, 2019. Part of the project includes digital display screens meant to give warnings to drivers about traffic slowdowns, accidents, and construction projects. PennDOT is making a push to serve its citizens that use roads with very little traffic who now deal with excessively damaged roadways and sometimes unpaved roads. Using recycled asphalt from interstate highways for new road paving work has saved the department nearly 75% of their new asphalt paving costs. Uber faces obstacles as it seeks to resume autonomous car tests in Pennsylvania. While Uber is looking to resume product testing for autonomous vehicles across the country, the mayor of Pittsburgh made it clear they will need to comply with public safety standards and will not welcome the company with open arms. ABC’s Construction Economic Update has found that every $1B spent on new construction creates an average of 6,300+ new construction additional jobs. This is good news for the proposed $1.5 trillion infrastructure investment proposal. Beginning this fall, major highway road construction will begin on Route 8. Six miles of six-lane roadway will be removed and replaced in the $48 million project. There will be many associated ramp closures as well. Ohio Paving & Construction realized that some customers look at an asphalt parking lot and see “blacktop.” To bridge the linguistic generation gap, a page has been developed to bring the same incredible paving services to those who think of asphalt as blacktop, with the same offer for a speedy, free estimate. Ohio Paving & Construction now has a page to help customers determine what might be wrong with their pavement and what signs to look for to determine whether or not they need an asphalt paving contractor or if they can fix the issue themselves. Also included is more material to help empower the consumer to make the right decision. A new startup in Kansas City is tackling an ambitious project: a pavement that serves as a sensor and data connectivity network, developed to better communicate with autonomous vehicles and increase passenger safety for all drivers. Authorities will also automatically be notified of any collisions or accidents, increasing respond time and potentially saving lives. The project will begin with a half-mile test run in Colorado to experiment with the efficacy of smart pavement’s intended properties. ODOT has released its expected traffic delay report resulting from highway construction projects in Coos, Curry, Douglas, Josephine & Jackson counties. Each of these construction projects are a part of a nationwide effort to repair and restore our national highways and infrastructure. The Global Asphalt Strategic Business Report filled with annual estimates and forecasts running through 2024 has just been published and is available for download through Researchandmarkets.com. Geography on every populated continent has been evaluated, and companies including BP Plc, Exxon Mobil Corporation, Petroleos de Venezuela SA, Royal Dutch Shell Plc, Aggregate Industries Limited, Anglo American Plc, and more. Mark Stodola, mayor of Little Rock, Arkansas, gives his words on the importance of preparing the U.S. workforce for the coming changes in demographics, particularly age, as well as the recognition that rebuilding our roads and bridges will require a new paradigm in training more of our young people for skilled labor jobs. Ancient Roman Concrete Has Lasted For Centuries. Ours? Not So Much. Our concrete infrastructure continues to crumble, while Roman infrastructure continues to stand tall, sustaining rates of damage at a fraction of the speed we get out of our building materials. We both used concrete, so what gives? One theory is the bits of volcanic stone they used as an aggregate, as well as the lime mortar used to bind it. Columnist John Kelly explores the topic in detail. Ohio Paving has taken on the ambitious task of creating the most inclusive glossary of terms page for all words used in the paving industry. From job-site lingo to leading paving media sources, their glossary page has everything and is growing constantly. Apple now has 55 self-driving cars registered with the California DMV, an over 100% increase from earlier in this year. General Motor’s Cruise has the most at 104. For now, the California DMV has not issues any permits for driverless cars to legally drive on any public roads. A concrete truck recently hit an overhanging power line, which then broke and collapsed on top of the cab of the truck. No one was injured by the incident. The MSHA released best practice guidelines after the conclusion of the accident. What do you know about the history of asphalt? It probably goes back farther than you think. The timeline runs from 625 BCE all the way to the 21st century, explaining the various civilizations and their application of bituminous product as a roadway. Even the Mesopotamians used asphalt to waterproof temple baths and various ancient appliances. The Adopt-A-Highway program celebrated the 30th year of its existence on May 1, 2018. The volunteer program organizes volunteers and empowers them to help clean trash, litter and debris from South Carolina highways, and has been a huge success based on its savings of millions of tax dollars through paying workers to do the same work. Nearly 22,000 volunteers have participated in the program. A parking deck collapse in Detroit damaged 8 cars, and may have been the fault of improper asphalt paving work. Following an overdue inspection in the previous November, the leading hypothesis for the cause of the collapse was the fact that asphalt had been paved over the concrete structure. The property owner, Woodbridge Ventures, LLC, is being held fully accountable, and the investigation is ongoing. The AAA Foundation For Traffic Safety recently put forth research on hit-and-run statistics in the United States, and found that hit-and-run accidents, including fatal hit-and-runs, are on the rise. Nearly 65% of those that were fatal involves bicyclists or pedestrians. The three states with the highest rates of fatal hit-and-runs were New Mexico, Louisiana, and Florida. To increase the safety of people using bikes and scooters to get around town, cyclists called for “safe spaces” along San Francisco roadways where cyclists have the priority. With green modes of transportation on the rise, the call for additional safety measures echoes growing pressure to transform our urban environments. This call for increased safety measures originated in a hit-and-run fatality of biker Kate Slattery two years previous. Ohio Paving & Construction now offers a new page featuring the importance of a pavement maintenance plan for homeowners, business owners, property managers, and anyone else who might be subject to the high costs of pavement repairs if the weather takes too high of a toll on their parking lot or driveway. A fraudulent scheme was finally put to rest in Tipton County. 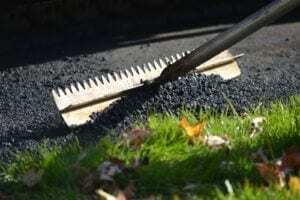 A father and son asphalt paving duo were charging one fee for their asphalt paving services, and then ask for less money for the job, but still cash both checks. The arrest put an end to what turned out to be crime spree using similar methodology across the Mid-South. In Orange City, Florida, a man fell off the asphalt paving machine he was operating and was pinned underneath the machine. Orange City Fire Rescue pronounced the victim dead on arrival. The death investigation is ongoing. In an effort to reduce variability in performance graded asphalt binders’ test data, the Asphalt Institute put together an Emulsion Technician Certification program to demonstrate best practices in the asphalt emulsion industry. The certification will be awarded after the passing and completion of a classroom review, a written exam, and a laboratory proficiency exam. As the first round of awarding concludes this week, you can schedule the following round of classes for November 12-14 2018, from 8am-5pm, at the Asphalt Institute Headquarters in Lexington, KY. You can find hotels at affordable rates in advance. Asphalt plants can be a dangerous place. Here, a safety consultant lists his best recommendations to keep your employees at the asphalt plant safe, including tips to always keep spares for every piece of safety equipment available. There should be a liberal number of fire extinguishers distributed around the workplace, as well as regularly maintained pressure valves to minimize the risk of a damaged hose spraying hot oil into the vicinity. The State of Kentucky recently approve a $8.5 billion budget for 1,400 projects, including bridge repairs, state road and highway pavement repairs, as well as various safety projects. The Kentucky Infrastructure Report Card echoed this need for funding, and it is sure to be welcomes by the state’s citizens. Four teens developed the prototype for an app called Penn Points to the Pennsylvania Department of Transportation‘s recent contest, which rewards good habits by calculating the driver’s phone use and car speed while behind the wheel and granting points for good habits. Points are also deducted for bad habits. These points can be converted into coupons or freebies at local businesses. Noise-reducing pavements are making strong headway in the industry to restore a sense of peace near highways and around busy intersections. Work on quiet pavement began around 2005 by the Federal Highway Administration‘s (FHWA) Office of Pavement Technology. The Arizona Department of Transportation is keeping up stride with Europe to maintain research efforts and implementation on quiet pavements around the state. In general, quiet pavements are responsible for decreases in noise around 5.0 dB. Seeing is believing, and having a visual reference of the various paving processes can put a property owner’s mind at ease about having paving & construction work done by Ohio Paving & Construction. Click above to see photos from our ever-growing docket of successful paving and construction projects. To construct a new small parking lot, (10-30 spaces, 4000 to 10,000 square feet) it will cost between $20,000.00 and $150,000.00. Larger parking lots (30-300 spaces, 10,000 to 100,000 square feet) cost between $75,000.00 and $1,500,000.00 to construct. There is a wide variety of paving procedures and maintenance plans, each with their own price structures and variable costs. Written by the Office of Pavement Engineering, this manual outlines every conceivable inch of design specification that any public works pavement project must adhere to as governed by law. Ohio Paving & Construction generally services ODOT districts 3, 4 & 12. The Ohio Department of Transportation is split into numerous sections to best regulate and monitor the activity of the various institutions comprising the creation and use of Ohio’s roads. The Office of Materials Management, headed by Jim Welter, is responsible for testing the quality of building materials and implementing material and contractor specifications to enhance the quality standards of our infrastructure. The Asphalt Materials Section of the office is responsible for project contract administration, supplier certification, and more through two sections. One section is responsible for administering the binders used in public projects. The other section tests asphalt for approval, and assists in pavement failure forensics and applications. Ohio Paving & Construction has always offered parking lot design services, but now the service is available for request online through the newly developed page. New parking lot design is a difficult and important process handled by professional engineers to ensure a long-lasting, quality parking lot design for a new construction site. Ohio Paving & Construction is also fully capable of the necessary excavation, land clearing, and parking lot construction necessary to carry out a design to completion. The Ohio Department of Transportation produced a price calculator for PN 530 and PN 535 in 2010 and was last revised in April of 2018. Click on the excel icon to download the spreadsheet. According to the American Society of Engineers, the State of Michigan gets a D+ on its scorecard of the state’s infrastructure. Factors included in the report ranged from aviation to drinking water, energy and roadway pavement integrity. The Michigan Senate, aware of its crumbling infrastructure, allotted $175M to repair the rampant potholes and cracks littered throughout Michigan. The work will begin with a public bidding process with various paving companies, and Michigan will award the work to the lowest bidder. Ohio Paving & Construction also accepts bid packages from municipalities and state agencies who want to request paving services from our company. A new product developed by Chemtek Inc. boasts a dramatic surpassing of OSHA Standards for employee exposure to hazardous crystalline silica dust. Featured at the World of Asphalt 2018 Show and Conference In Houston, Texas in early March of 2018, NeSilex offers a reduction of inhalable silica dust of up to 100%. Silica dust becomes a safety hazard in the midst of construction activity including milling, sweeping, crushing, mining, sweeping, earthmoving, grading, and earth-moving. Ohio Paving & Construction is careful to keep exposure to construction hazards to a minimum during relevant projects including milling & paving and excavation. Karvo Companies is pursuing litigation for a revoking of their privileges to bid on public roads projects by the Ohio Department of Transportation (ODOT). ODOT defends their actions as punishment for “failure to comply with subcontractor requirements,” including EDGE and MBE regulations, but Karvo counters that the claim is unsubstantiated and that they have, in fact, complied. The hearing officer ruled in favor of Karvo, and Karvo has since missed out on numerous contracting opportunities. Judge Tammy O’Brien will preside over the case. Kirkland’s Northeast 120th Street in Kirkland, WA receives the highest rating ever given by Greenroads, an international environmental organization that specializes in scoring the sustainability factors in transportations projects. Kirkland utilized LED lighting, trees as stormwater control, warm-mix asphalt instead of hot-mix, and a concrete vault to control storm water to earn its score. Pavement markings also allow for more pedestrian and bike traffic along the roadway. The most recent version of the University of Houston’s parking lot guidelines for paving and construction companies was released in 2014, with outlines including everything from the qualities of landscaping projects to the amount of permissible illumination outside of a parking lot perimeter. It is noted that all luminaires must meet the standards set forth by the International Dark-Skies Association. When working on any university projects or public works projects, it is important that Ohio Paving & Construction receives these guidelines as early as possible to guarantee a policy compliance completed task. The story of a curious traffic engineering experiment taking place in Poynton, England as one of the first real-world, Western applications of Hans Monderman’s work, fellow at the Dutch Institute for Safety Research, and his philosophy of urban planning. At the cost of $6 million, “shared spaces” were built to replace busy intersections throughout the town, meaning roadways had no pavement markings and no street signs or lights. Traffic is instead coordinated by pedestrians and drivers exchanging social cues, negotiating movement forward. Citizens report a general increase in the sense of community around town, and local officials report a decrease in traffic-related injuries. Overall, the experiment is considered a success.